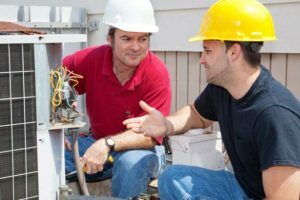 AC Man Houston - HVAC & Air Conditioning Repair > Why Is AC Man Houston The Best Air Conditioning Repair Katy TX Service? When was the last time you had your AC unit checked or maintained? A lot of homeowners use their AC unit on a daily basis during the summer without realizing that these appliances go through a lot of wear and tear. Thankfully, there are AC repair and maintenance professionals in the Katy, TX area who can help you make sure that your HVAC system remains in proper working order. Why is AC repair and maintenance important? Having an hvac contractor Katy, TX, inspect your AC unit and perform any necessary maintenance is something you should do at least once a year. Temperatures can become high in Texas during the summer and you need to have an AC unit you can rely on to keep your home at a comfortable temperature, especially if you have young children. Proper maintenance can also prevent more expensive repairs in the future, keep your utility bills down and help improve the quality of your indoor air since dust particles can enter your HVAC system and end up in the air you breathe if you do not have your system cleaned on a regular basis. What are some common signs that you might need to contact an air conditioning Katy, TX? It is best to have your AC system inspected before the summer starts just to make sure everything is in proper working order. You should contact a repair service if you find that you need to have your AC unit constantly running just to keep your home comfortable, notice that your energy bills are a lot higher than last summer or that it is very difficult to maintain a comfortable temperature in your home. Your AC unit might also need repairs if you find that you need to add freon on a regular basis, notice a leak around the AC unit or hear some unusual noises with the AC is running. Why should you choose AC Man of Houston? AC Man Houston has been around since 2007 and the owner of this AC repair service has 18 years of experience in the field. There are a lot of air conditioning Katy, TX services to choose from, but you need to select a company that will send experienced technicians who are ready to go the extra mile to make sure your AC unit is in proper working order. AC Man of Houston is dedicated to offering the best service possible and can provide repair and maintenance service for all major brands. AC Man of Houston is the #1 choice for AC repairs and maintenance in the Katy and Houston TX area because of the excellent customer service offered, the high quality repairs and the fact that this service always puts customers first. Why are the AC Man Houston technicians the best professionals for AC repairs and maintenance? Even though there are different options for air conditioning repair Katy TX, the experience and background of each repairman is a little different. AC Man of Houston is an American Standard certified company. This means the technicians receive training to use methods and install devices that are energy efficient. This is an ideal choice if you want to reduce your energy bills, reduce your environmental footprint and make sure repairs and maintenance are performed by the best. 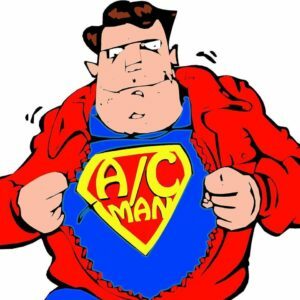 What can AC Man of Houston help you with? This hvac Katy, TX company offers a number of services. This is an excellent option if your AC unit is not working properly or if it is not keeping your home at the right temperature. If you are not sure whether a replacement or a repair is your best option, AC Man Houston will send one of their technicians to assess the situation. You can also contact this service if you need a new AC unit installed, need a check-up, cleaning or simply want to find a solution for your high energy bills. If you are a commercial customer, you can opt for a maintenance contract. It is important to choose the right repair and maintenance service for your AC unit. AC Man Houston is an excellent option because they will always send technicians who are trained and polite. This company has your best interest in mind and will do everything possible to provide you with an ideal experience while helping you save money by making your home more energy efficient. You can rely on AC Man Houston if you need to have your AC system cleaned or inspected or if you need to have a part replaced or would like to get a new AC unit installed. You can also contact this company if you think there might be something wrong with your AC system and would like to get an expert’s opinion on hvac repair in Katy, TX.